Live music. Amazing red velvet cake. Butcher-style self-service. To-die-for brisket. A list of words and phrases I conjure when Hill Country is mentioned. Cold food. Long, poorly managed line. So-so chicken. Lack of desired sides. Mush. A list of words and phrases I have used to describe Hill Country Chicken. I first read about Hill Country Chicken on a random tasteless blog (could have been serious eats). 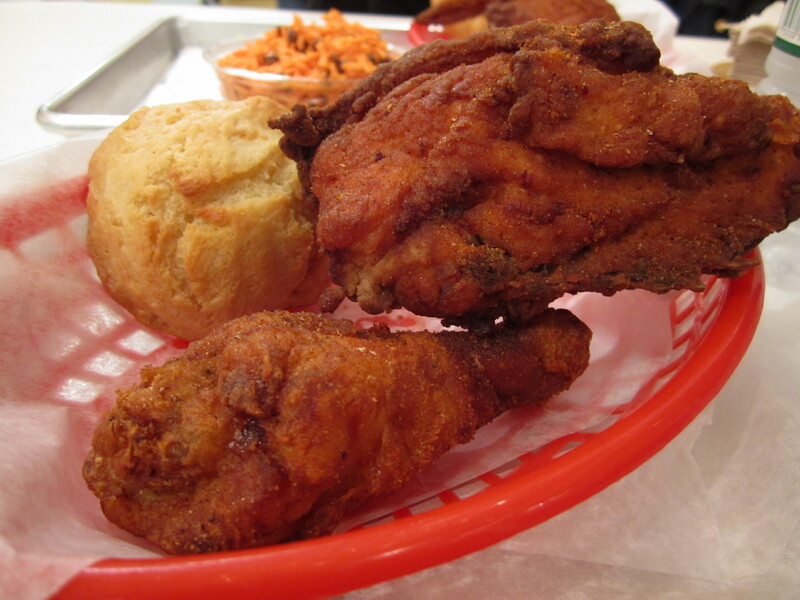 Oh, Hill Country is bringing on fried chicken, I thought. Sounds delicious. Then New York reviewed its opening, which meant only one thing to me: it’s go time. When we arrived at Hill Country Chicken, I should have immediately known better. The bright lighting and folksy music emitted a vibe unlike its parent barbecue establishment. Old-style tables and chairs with squishy seats furnish the two-level restaurant. (I didn’t get a chance to check out the basement.) I would have preferred utilitarian furniture if it meant big taste. Dashed were my hopes. My dining partner did the honor of ordering our food and standing in a slow-moving queue for about 20 minutes. By the time the food reached our table, the chicken was cold and, in turn, unapettizing. We tried breasts, thighs, and legs of the Hill Country Classic recipe, which has a heavy-handed spicy flavor but unimpressive flat texture that cannot compare to, say, Popeye’s. I wonder what Mama Els’ fried chicken tastes like. Too bad I’ll never find out. For sides, we attempted to order the blistered corn salad, but it was out of stock already. (Aside: We got there around 6:45 PM on a Friday. Why were they out of sides?). 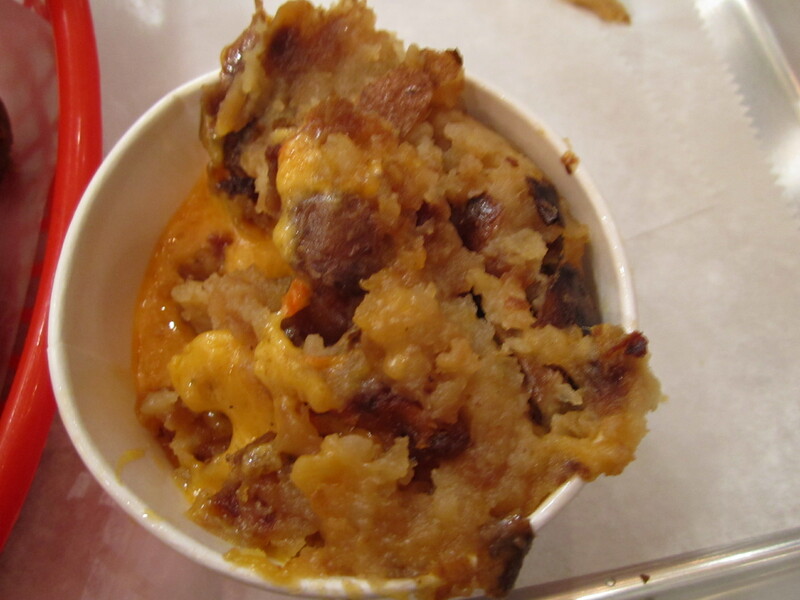 We opted for the inedible carrot-n-raisin slaw (slimy, rum raisin-y) and horrifying-looking cheesy fried mashed potatoes, which were, at the very least, edible (though greasy and left largely uneaten). I wouldn’t recommend this place, though I’m sure you’ll want to try it out. Instead of bothering with Hill Country Chicken, eat at your local Popeye’s or straight up get your meal ticket at Hill Country proper. This place is only Hill Country in name, not in quality or organization.